• On-site glass art making demonstrations showcasing the process of glass torch artistry. 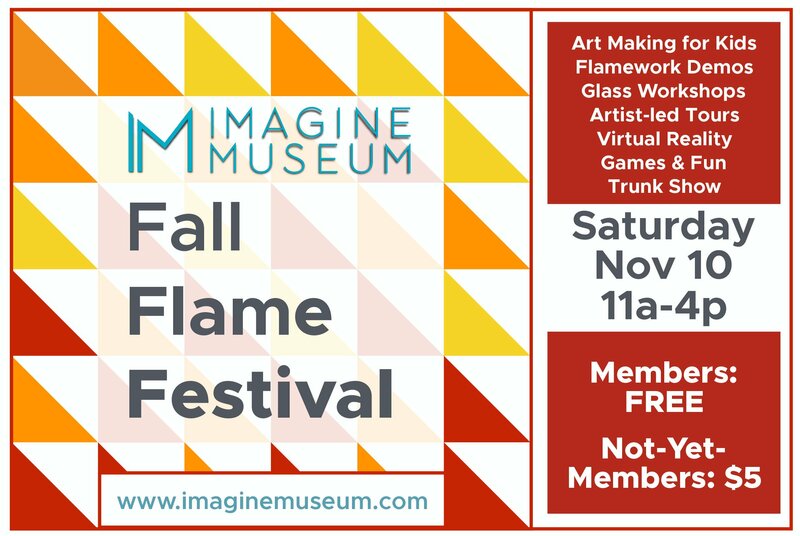 • The adventurous can create their own flamework glass pendant in a glass workshop (limited availability: RSVP to reserve: https://bit.ly/2JI9jB7). • Plenty of art making activities and games for families to create, play, and enjoy a day together. • A glass artist will lead informative gallery tours to explain the techniques and skills required to create museum-quality masterpieces. • For collectors, a special selection of regional artists will have pieces available to purchase.